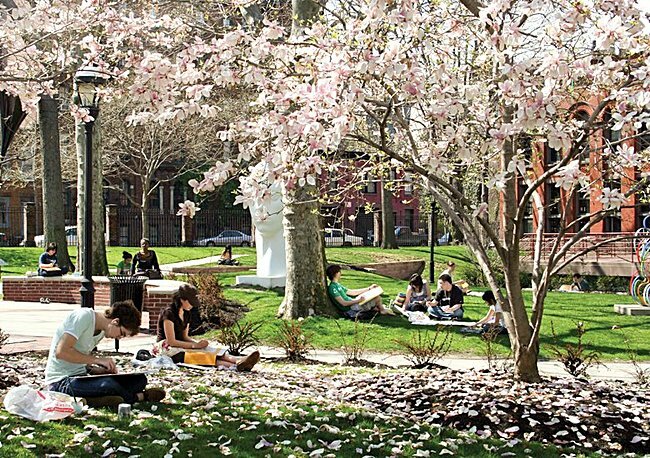 With an enrollment of over 3000, the Pratt Institute in Brooklyn is one of the largest schools of art and design in the country. In addition to the arts, programs include architecture and engineering. Pratt is equipped with some of the finest and most advanced studios in the world, and counts Robert Redford among its alumni. Describe the type of student who should not attend Pratt Institute-Main and explain why. Describe the type of student who should attend Pratt Institute-Main. Why? What is a typical Pratt Institute-Main student like? Describe the type of person that should attend Pratt Institute-Main. What are the top 3 reasons someone should attend Pratt Institute-Main? What was a typical Pratt Institute-Main student like in high school? Describe the type of person that should attend Pratt Institute-Main. The type of person that should attend Pratt Institute is a self-motivated and passionate individual who is open to cultural diversity and who is seriously willing to hone his or her artistic skills. Students learn the techniques, history, and theories of art from top professors. What are the top 3 things that students do for fun at Pratt Institute-Main? Campus housing is available for undergraduates. Housing deposit : $300.00. Housing deposit due : May 1. Housing deposit is partially refunded if student does not enroll.. Freshman allowed to have car. No pets. 51% of students live on-campus. The average student pays $38,868 for tuition, fees, and other expenses, after grants and scholarships. Total stated tuition is $41,226, in-state and on-campus, before financial aid. Learn more about financial aid at http://www.pratt.edu/admissions/financing_your_education/financial_aid_options/. Estimate the net price for you at http://www.pratt.edu/admissions/financing_your_education/. The typical (median) early career salary of Pratt Institute-Main graduates is $42,800, according to Payscale. Want more info about Pratt Institute-Main? Get free advice from education experts and Noodle community members. Are students required to submit a portfolio for the interior design program at Pratt Institute? Yes, you do need to submit a portfolio to Pratt for the interior design program. For more information about what you need to include in your portfolio click here.